In the wake of US President Donald Trump’s order to ban refugees entering the country, cultural institutions across the globe have been vocal in protest. Here Te Papa curators share their thoughts. He aha te mea nui o te ao? Māku e kī atu – he tangata, he tangata, he tangata. What is the most precious thing in the world? I tell you, it is people, it is people, it is people. Museums are renowned for their objects and the stories they can tell. Mention a museum to someone and usually they think of dusty temples filled with static riches. But the true richness of a museum is not merely in the objects but in the people who bring us these taonga, who share their lived experiences with us, and who show extraordinary generosity to pass them on to the rest of the world. This blog is a collaborative piece from a number of different curators across the museum who wish to share some stories from Te Papa’s collection that remind us about the value of not just objects but remembering the humanity of those individuals who have escaped conflict, and found refuge here in Aotearoa/New Zealand. We have focused on stories that talk to the refugee experience found in the museum’s collection, and express our gratitude to those who have shared their stories with us and to those in this country who welcomed them with open arms. Open and informed critical debate is essential for enlightenment, and for civil society. Talk matters. But for debate you also have to be a humble listener. Shutting down opponents with derogatory slurs and slogans, or through the manipulation of power, is an insult to everyone. It derails the possibility of goodness and compassion. With this in mind, I couldn’t decide which of these two items was most incendiary: this baton (above plus details) associated with the violent suppression of water-siders who went on strike in 1913, or the typewriter (below plus detail) which Chip and Rona Bailey used in 1951 to produce pamphlets to support workers during the 151-day waterfront dispute, despite this being illegal. So I’ve included both. I suppose what buoys me as a social history curator at Te Papa is the fact that we have collected both objects, evidence that political freedom is a tangled ongoing process made from words, deeds and things. When it’s being made, history can be ugly – and it can challenge our individual and collective sense of propriety and moral righteousness. But we should never try to magic the messy bits away into nothing, as if they never happened, or to dismiss unpalatable facts as fictions. Edward Mroczek was a member of the British Merchant Navy when he met Irena Niedzwiecka, a young Polish woman living in Wellington. They fell in love, and Edward immigrated to New Zealand in 1954 so they could marry. Edward arrived in Aotearoa with hopes for the future and reminders of the past. 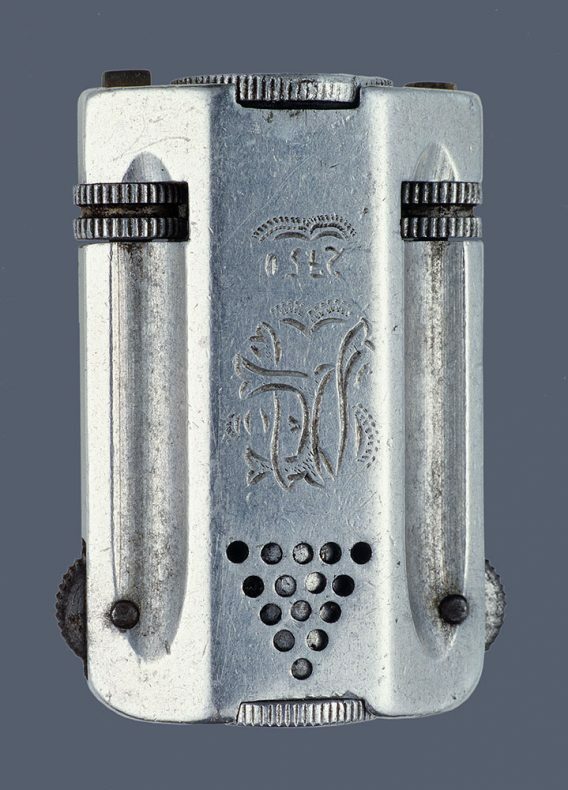 This cigarette lighter was made by his friend Wladyslaw Piotrowski in 1944, while both were imprisoned at Flossenbürg Concentration Camp in Bavaria. Edward’s initials are etched on one side, and on the other is his camp registration number, 2750. 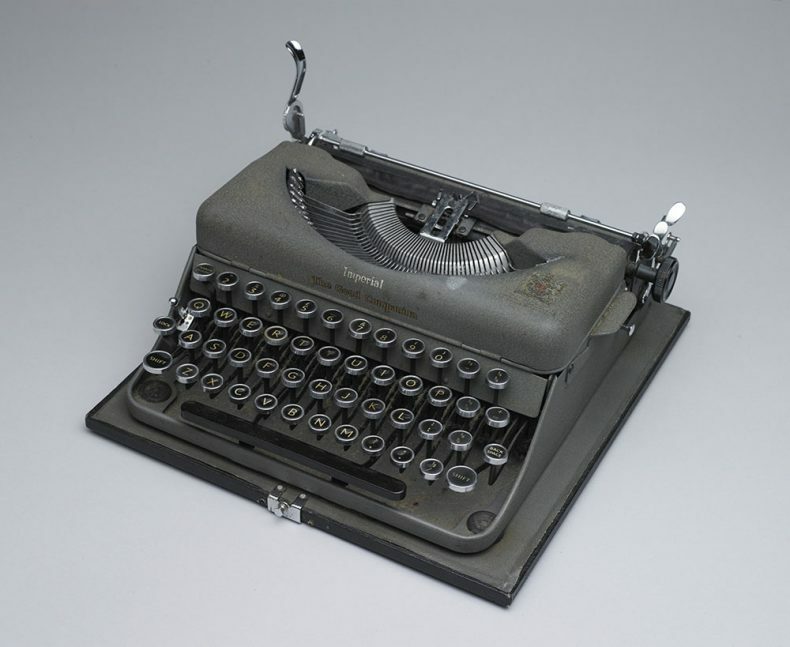 The aluminium used to make the lighter was stolen from the factory where both men were forced to work. While forging a new life for themselves in New Zealand, Edward and Irena were deeply committed to nurturing and passing on their Polish heritage and history. Their three children grew up in an atmosphere of ‘deep affection and cultural richness,’ learning Polish songs, dances, recipes, and customs at the Dom Polski in Newtown. Daughter Maria continues these lessons with her own children, honouring the legacy of her parents and enriching the community of Polish New Zealanders. Reference: Maria Schlaadt, ‘Positively Polish,’ in New Zealand’s First Refugees: Pahiatua’s Polish Children, edited by Adam Manterys (Wellington: Polish Children’s Reunion Committee, 2004), 244-246. Many communities and former refugees look to Te Papa to care for their taonga, particularly their most precious objects, which remind them of their original homes, or the trauma of leaving, or their new lives in New Zealand. We proudly collect their objects and tell their stories. We do this to understand and treasure the past; to enrich the present; and to help us meet the challenges of the future. For example, Te Papa holds the minister’s gown of Helmut Rex (1913-1967). He was arrested briefly in 1937 for anti-Nazi preaching and left Germany in 1938. On the eve of the Second World War he found sanctuary in New Zealand where he made a profound impact on the New Zealand Presbyterian Church. 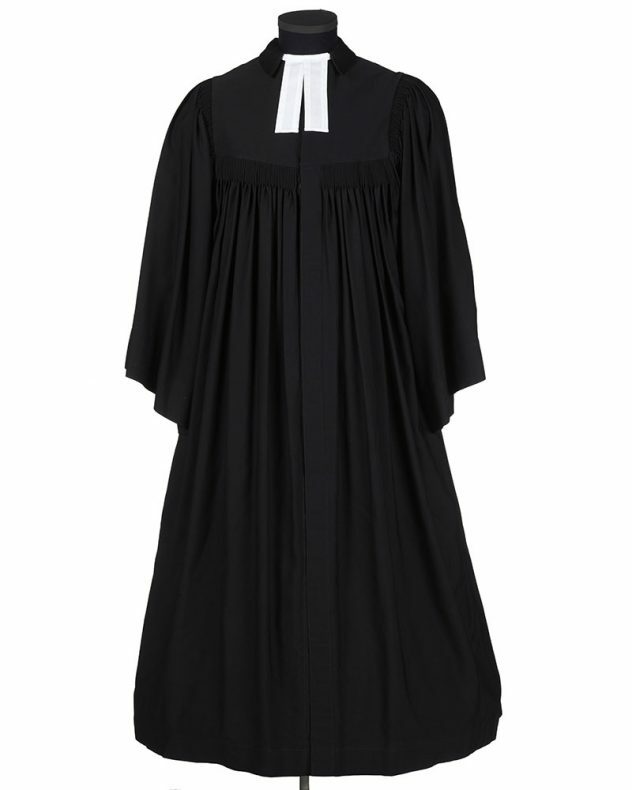 His gown is a timely reminder of the need to protect our freedoms of speech and religious faith. A major influence in my work is looking to the stories within the taonga Māori collection, for lessons imparted by tupuna (ancestors) through the stories attached to all the cherished taonga. There are principles inherent in the taonga that continue to teach us the values that our ancestors held on to and which continue today. The ban imposed by the current USA government on refugee admission into the USA compelled me to recall the story of Te Paea Hinerangi, also known as Guide Sophia. This beautiful hei tiki was once owned by her and through it we remember the story of Te Paea giving refuge to 60 people who sought and found safety in her home from the dangerous effects of the eruption of Mount Tarawera. Even with the enormous fear that would have been overwhelming, through her altruism, her manaakitanga and aroha, Te Paea reminds us that all life is precious. One of the great privileges of being a curator at Te Papa is that people entrust us with their most treasured objects and taonga, their precious personal stories, and some of the most significant moments of their lives. In sharing their experiences, people enrich Te Papa and make the museum relevant. A placard in a recent protest march stated ‘Diversity Makes Us Strong’. It’s an opinion that has been expressed by many in recent weeks, and it’s a belief that resonates with museums. In being inclusive, in sharing people’s diverse stories and in exploring our similarities and differences museums provide the opportunity to gain understanding, empathy and tolerance. That’s got to make us a better and stronger society. 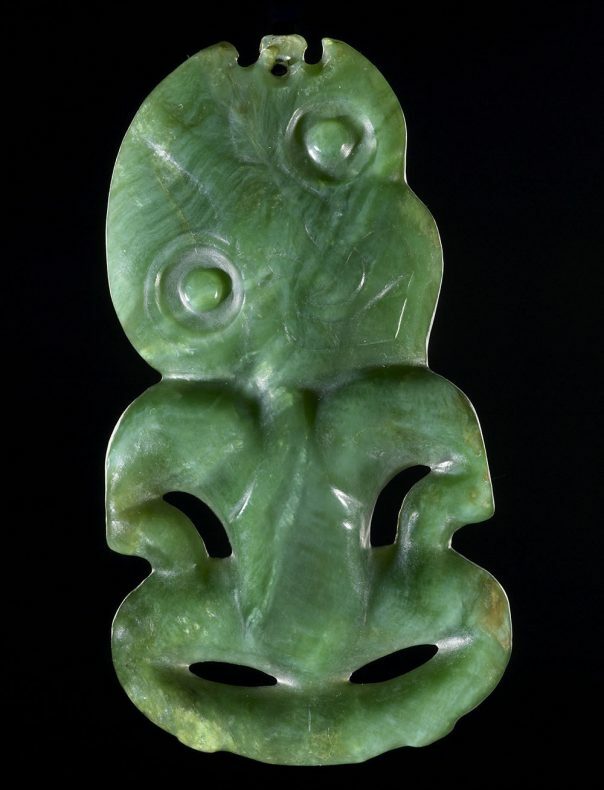 There are many objects in Te Papa’s collections that are testament to the incredible people who have overcome dire situations to make New Zealand home. In the museum environment objects materialise people’s lives but sometimes, profoundly, people arrive with nothing – only the story. Last year Te Papa enabled and supported me in becoming a Red Cross volunteer and I supported a former refugee family who had come to live in Wellington. Once the practical things were done – enrolling at schools, doctors, dentist, navigating WINZ, etc., I quickly realised that the family needed very little from me. They were incredibly resourceful, creative, driven, independent, and resilient. The experience has greatly enriched my life beyond expectation, and it has shown me just how privileged New Zealand is to have this family, and other former refugees and immigrants, who bring with them life experiences that make them and us strong. One of New Zealand’s first refugees was Ditlev Monrad (1811-1887). He was a remarkable man: a Lutheran bishop, a political leader in his native Denmark, a scholar and an art connoisseur. There are definite parallels between the Founding Fathers of the United States and Monrad’s role in drafting the Democratic Constitution which replaced an absolute monarchy with a constitutional one. Monrad was Prime Minister during the Slesvig-Holstein War with Germany, a David and Goliath struggle if there ever was one, and his Christian values as opposed to Otto von Bismarck’s ruthlessness still impress us today. But Denmark was defeated, and Monrad was unjustly scapegoated. New Zealand provided him with a peaceful refuge during this traumatic moment in his life. Although he stayed here for just three years, he cleared many hectares of bush and established a successful settlement near today’s city of Palmerston North. More than that, he inspired many countrymen – like him seeking freedom, toleration, and a better tomorrow – to emigrate here and undertake the same task. With Denmark’s return to political stability, Monrad himself returned there in 1869. 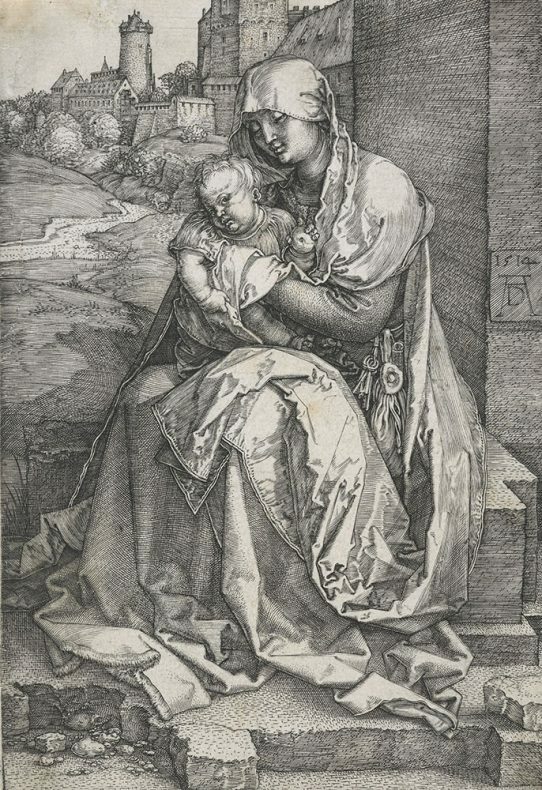 Before he left, however, he made a remarkable gift: his entire old master print collection, numbering 600 works and which includes works by Dürer and Rembrandt. This was a ‘thank you’ to New Zealand for being a refuge, and in turn provided the foundation of the Colonial Museum (and now Te Papa’s) art collection, an enduring cultural – and political – legacy. As staff of a national museum we have the duty to collect and reflect the people that make up this country. To give full credence to the many migrations that have made up these islands, we must also take it that step further and situate our national narratives in a global context. 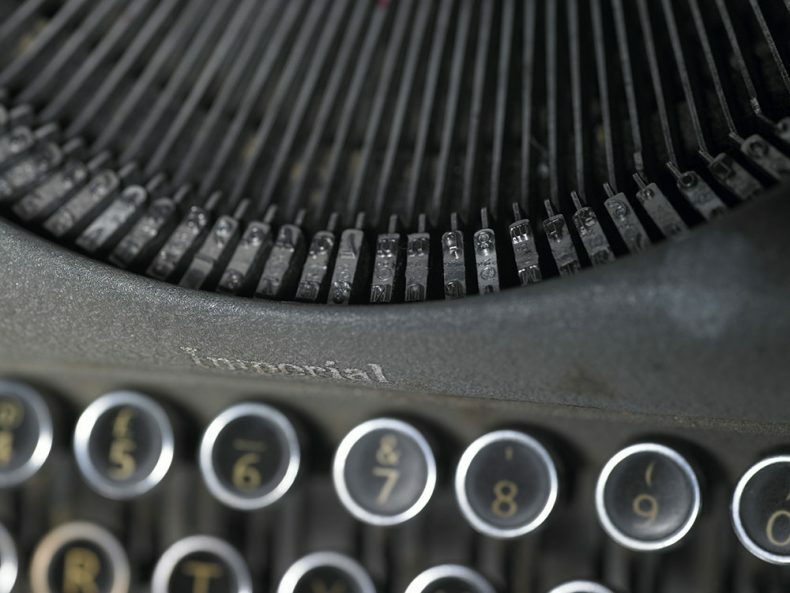 In his manifesto for museums, Turkish author and museum founder Orhan Pamuk repeatedly states the importance of sharing stories of the individual to better express the human experience and to connect more effectively with audiences. It is with this in mind that I reflect on the refugee experience as manifested in the museum collection. Living in a Wellington suburb that is home to many refugee families that are in childcare and at school with my own children, the international story becomes a personal one. It’s a struggle to condense the wide-reaching effects of the Muslim ban and the ongoing refugee crisis into a single object, and thus I draw strength not only from my colleagues’ replies but also from what other museums have been doing. It emboldens me to see museums react to oppressive legislative measures in such bold and beautiful ways as the Museum of Modern Art’s inspired hang and this statement from the President and CEO of the Field Museum, and I will continue to use these as inspiration for further collecting. It is the great burden that a museum has to respond, collect, and commemorate the lives of people yet it is also a great opportunity and one we will continue to do. Imagine being in a refugee camp with a baby who is only a few months old, desperately trying to eke out a living for your young family by selling your sketches and portraits. You have already left behind your entire way of life, fleeing bombs by pushing all of your worldly possessions across the country in a baby pram. Then, you must make the gut-wrenching decision to leave behind everyone you know to move to the other side of the world to start your life all over again. Like millions of refugees around the world, this was Rudi Gopas’ story. Gopas was a Lithuanian modernist artist who had to flee his country with his wife and young daughter when the Russians invaded in 1944. They spent four years in Ehrwald, an Austrian refugee camp, before immigrating to New Zealand in 1949. The family was first sent to a refugee camp in Pahiatua, before being resettled in Dunedin. Upon arriving there, Gopas wrote about how alone they felt, and how alienating it was to be living in a society with little knowledge of the European artists, authors, and philosophers who had been the centre of his world. However, Gopas’ arrival in the country would prove to be a vital shake-up to the New Zealand art scene, especially once he was appointed to teach art at Canterbury University. A strong advocate for spontaneity, expressive colour and experimentation in painting, he is often credited as being the first to introduce expressionism to the country. Gopas loathed the boring, repetitive exercises that characterised typical art school pedagogy in NZ at the time, instead encouraging his students to discover their own way through colour and form. 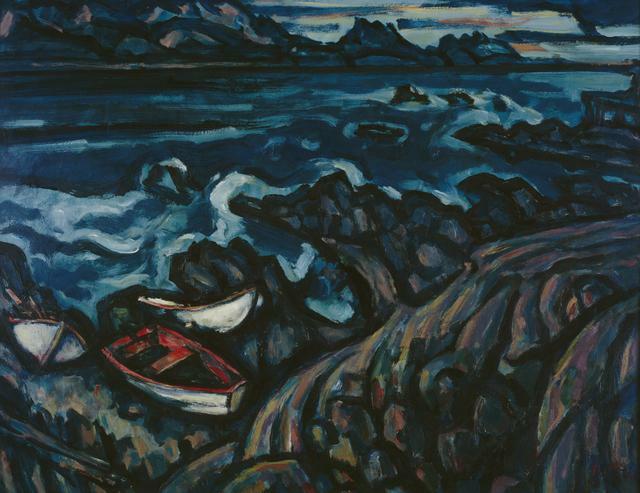 Gopas also shared his love of European modernists like Van Gogh, Matisse, Klee, and Gauguin with his students, often applying their principles of colour and composition to New Zealand landscapes and motifs. Known for his sharp tongue as much as his charisma, his teachings directly shaped an entire generation of New Zealand painters, including Philip Clairmont, Jeffrey Harris, Phillipa Blair, and Tony Fomison. There are many stories like Gopas’, of displaced newcomers surviving, thriving and ultimately making a positive contribution to the life and culture of their new country. But one thing that often gets glossed over in Gopas’ story is that during the German occupation of Lithuania from 1941-1944, Gopas actually spent time serving in the German army. He was, at least for some time, on the “wrong” side. Ask yourself: Today, would Gopas and his family be given the benefit of the doubt? Would he have passed what Trump has called “extreme vetting” of immigrants from war-torn countries? Would Gopas be considered an enemy of the state, or even a potential terrorist? Today, would this influential artist be given the opportunity to help shape New Zealand art? We welcome any conversations and dialogue about responses to this article or the links below. Was für eindrucksvolle Geschichten von Flüchtlingen! Es ist immer wichtig Flüchtlingen Hilfe anzubieten und Unterstützung zu zeigen. Wir hier in Deutschland möchten es zeigen, doch es gibt immer wieder welche im Lande, die sich dagegen aussprechen und meinen, sie würden durch Flüchtsaufnahmen zu kurz kommen und die Flüchtlinge schaden dem Wohlstand. Dabei tragen sie zur Bereicherung bei. Wir waren 2015 in ihrem schönen Land für 4 Wochen. Ihr Museum haben wir auch besucht und ich schaue ab und zu auf Ihre Web-Seite. Lohnt sich immer! How refreshing Te Papa. Thank you for contributing a clear, sane, united perspective from across your collection. Very moving and thought provoking article.